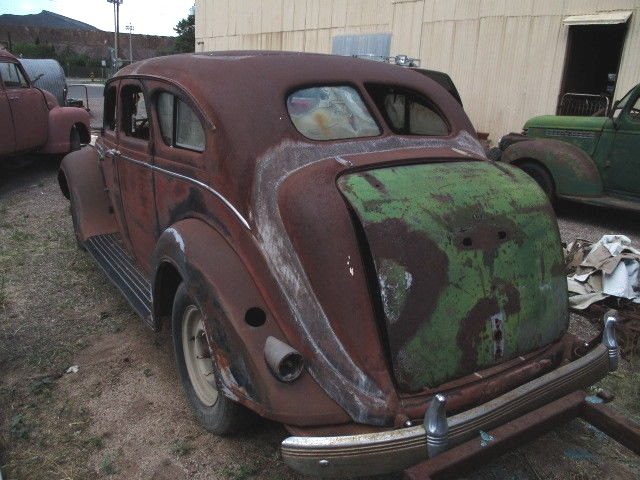 The DeSoto Airflow was a revolutionary car when it was introduced for the 1934 model year. While the average automobile had the aerodynamic profile of an inflated pufferfish, the Airflow looked slippery smooth and like something from the future. This rusted and decrepit example looks more like something from the past...but an awesome past. 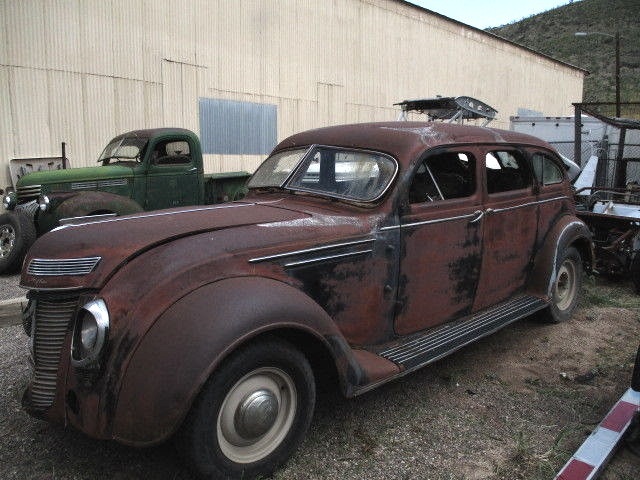 Find this 1936 DeSoto Airflow here on eBay offered for $5,500 buy-it-now located in Bisbee, AZ. This post is part of DT's 2016 Birthday Celebration of 100 cars; enjoy the ride! This Streamlined dream has seen better days, but at least the seller isn't asking some insane price for this rusting pile of history. The car is missing the rear trunk lid, and is going to need new glass, but the straight-8 engine is said to run with a prime of fuel.